➤ Get Paid Faster And More! Have you ever wanted to know how many patients a particular referring Physician is sending you? Or what insurance carrier is paying the most for a particular procedure? We can customize your statistics to answer these and many other questions. "Maximum Reimbursement is one of the best billing services we have ever used..."
"The staff at Maximum Reimbursement is so great..."
"We have been using Maximum Reimbursement since March of 2008..."
Maximum Reimbursement was established in 1996. We are a complete medical billing and practice management service, offering quality and professionalism at a competitive rate to all medical professionals in Nevada and our clients throughout the U.S.
We have been providing quality medical billing services for a wide group of specialties and facilities and value the importance of a positive PR relationship with your patients. As the government places increased requirements on our industry, we at Maximum are committed to help you be compliant while keeping your expenses down. We are always adding services to help you reach the new requirements while remaining cost effective. Our office is equipped with the most current and up to date technology that is available. We have Electronic Medical Records (EMR), e-Pharmacy and Contract and credentialing services. Our staff is dedicated and trained to handle any and all of your billing (and medical records) needs. 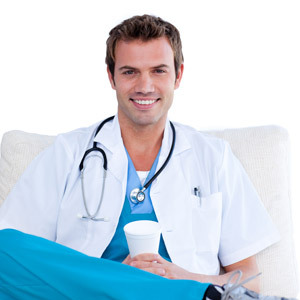 All of our services are provided in the United States by caring professionals. No off shore services. We are able to produce specialty reports to show you where and how to make the most out of your practice. Contact us now about our CUSTOMIZED PRACTICE ANALYSIS! Let us handle your patient scheduling, medical billing, statement processing; saving you time and money now! Call us at 888-568-1418 or we'll contact you. References happily given upon request!